Attacks on members of Northern Ireland’s 25,000-strong Polish community must end and the perpetrators must be brought to justice, according to the country’s ambassador to the UK. Figures for hate crimes against Northern Ireland-based Poles have spiked recently, with 150 attacks taking place in the 12 months to March 2015. That constitutes an increase of 39 incidents on the previous year. 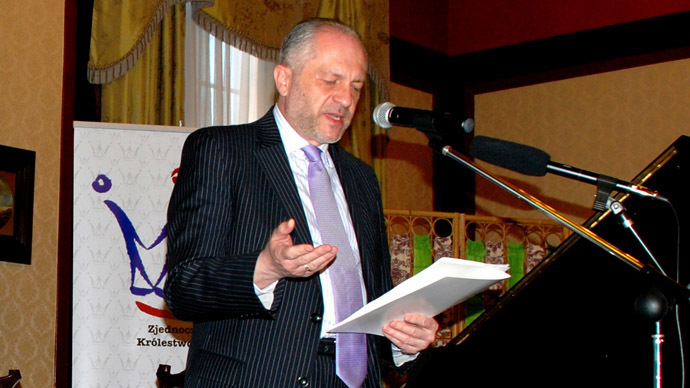 Speaking at Queens University, Belfast, during a two-day visit, Ambassador Witold Sobkow addressed an audience that included senior ministers. “On the whole, they feel at home and find Northern Ireland a hospitable place. From time to time, we have the attacks on the representatives of the communities. “This is bad for the community but it is also bad for Northern Ireland because it creates the wrong image of the community that is, in general, hospitable. Hate crimes are on the rise in Northern Ireland, a region of the UK with a long history of inter-communal violence. Last year it was reported by the annual Human Rights and Racial Equality Benchmarking Report for Northern Ireland that at least 982 racist incidents had taken place in 2013-2014. The number was up on 2012-13 figures, when 750 racist incidents were reported by the watchdog. Those who are behind the xenophobic attack are showing “intolerance and provocative aggression,” said Gavin Robinson, a council member from the Democratic Unionist Party (DUP). “It is a huge level of pathetic stupidity, especially on a week when many in the unionist and loyalist community came together to devise a strategy to combat racism,” he said.